The primary quality of this monovarietal extra virgin olive oil is purity. The olive trees are grown in a preserved location on crimson-colored soil at a hidden, but sun-exposed valley. A nearby river, originating in the mountains, feeds our grove. The resulting oil has a light and fruity taste. It is perfect for any type of cooking and has been selected by Michelin Star chefs in Paris. Oli Tina is a small company that exclusively produces monocultivar Koroneiki olive oil from the pristine island of Kythira. We have a farmer who takes care of the land, an agronomist and a business developer. 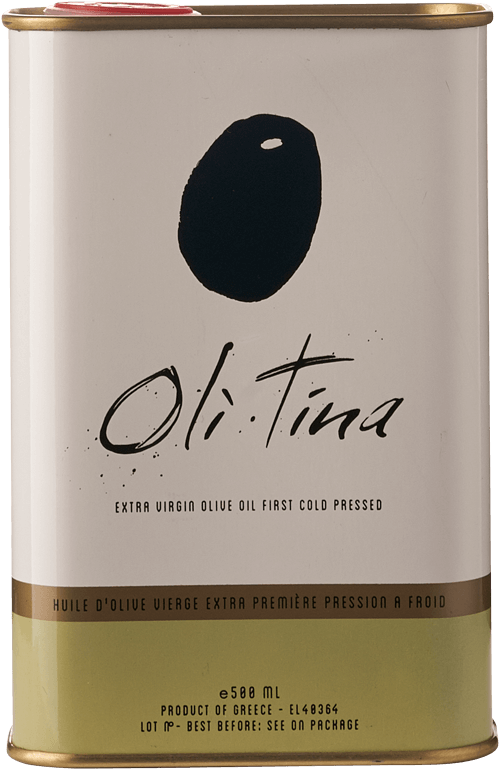 The owner, Olivier Mourin, wants to spread the small production of Oli Tina all over the globe. Sellas Olive Oil Trade Ltd.